The Basilica of Saint Joan of Arc was constructed to fulfill a vow to build a church in honor of the saint if the French capital were spared the onslaught of German forces that were massing outside the gates of Paris in September 1914. 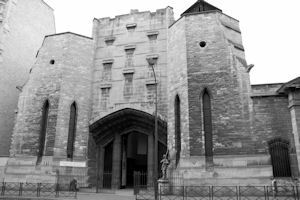 Read about the fascinating history of this church in this month's Paris Insights. We've discovered a fine restaurant that seems to have been overlooked by both Anglophone and Francophone restaurant reviewers. 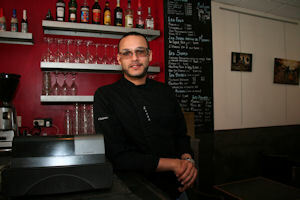 Read this month's Le Bon Goût to learn about Madame est Servie and why we think that its chef, Nacer Melliti, is a rising star on the Paris culinary scene. 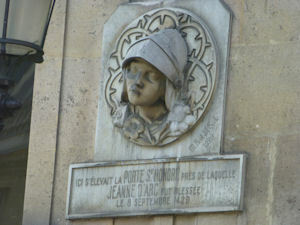 On September 8, 1429, Joan of Arc led her army in an attack on Paris at the Saint-Honoré gate. In this month's Paris, Past and Present, read about the plaque that has been placed at that location in honor of her valiant attempt to boot the English out of the city.